GERnetic UK - Marguerite Thorpe Ltd 40 Sea Road, BOURNEMOUTH, Dorset, BH5 1BQ, United Kingdom. Health and Beauty can never be separated. 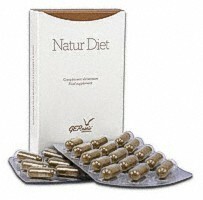 NATUR-DIET: STIMULATE contains vitamins (A, B1, B2, B3, B5, B6, B8, B9, B12, D, C and E), minerals (magnesium, cooper, manganese, and zinc) and the amino acid L-lysine. It will synergize with your GERNETIC Int. care program for face, bust and body, whenever the body needs to defend itself. 1 capsule in the evening before bed, to be swallowed with a little water.